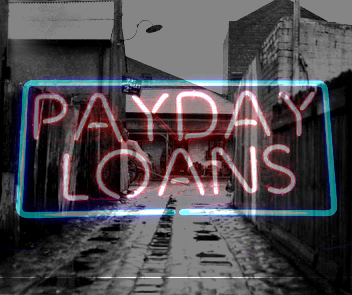 Payday lenders clearly target cash-strapped residents in poorer suburbs, a new study has shown. Researchers from the University of Melbourne analysed the locations of 123 payday lending stores and found they were way over-represented in areas of socio-economic disadvantage. The working class suburbs in the study all had five or more payday lending stores. In all, about 60 per cent to 80 per cent of payday lending stores are located in areas of relative disadvantage, based on Australian Bureau of Statistics measures for socio-economic disadvantage. The research was led by Professor Ian Ramsay from the University's Melbourne Law School. Professor Ramsay warns that payday loans can entrench existing poverty, through the use of high interest rates and by people taking out loans to meet basic living expenses. The use of direct debit from bank accounts — which can prioritise the repayment of the payday loan over other expenses — is also an issue. “The adverse effects of payday loans are also compounded when, as other research has shown, borrowers often have multiple payday loans or make continuous use of payday loans,” he said. Payday lending is big business in Australia with lending estimated to be up to $1 billion a year and hundreds of thousands of consumers using payday loans. Other research indicates typical payday borrowers already suffer from ‘financial exclusion’ – that is, they lack access to appropriate and affordable financial services and products. They are often on low incomes or dependent on welfare payments. “This research rebuts the repeated claims of payday lenders that their borrowers are not financially vulnerable,” Professor Ramsay said.